A federal grand jury on Tuesday indicted Sayfullo Saipov on terrorism and murder charges stemming from last month’s truck attack in Lower Manhattan in which eight people were killed, the U.S. Justice Department said in a statement. 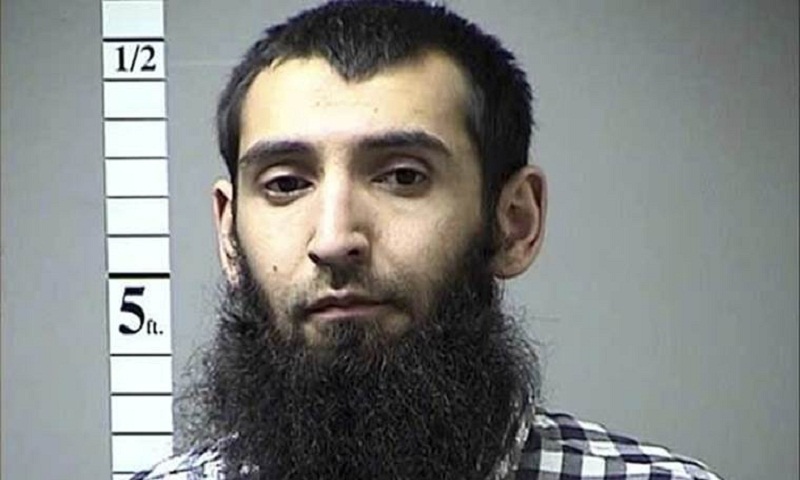 Saipov was arrested immediately after the October 31 attack in which he plowed a truck down a New York City bike lane and has been in federal custody. The indictment charged Saipov with eight counts of murder, 12 counts of attempted murder, one count of providing and attempting to provide material support to Islamic State and one count of violence and destruction of a motor vehicle resulting in death, the Justice Department said. Saipov, an Uzbek immigrant, was hospitalised after he was shot by a police officer and arrested. Islamic State claimed responsibility for the truck attack, which was the deadliest assault on New York City since September 11, 2001. Five of the victims were Argentinians who were part of a group in New York to celebrate the 30th anniversary of their high school graduation. A Belgian woman, a New Yorker and a New Jersey man were also killed.